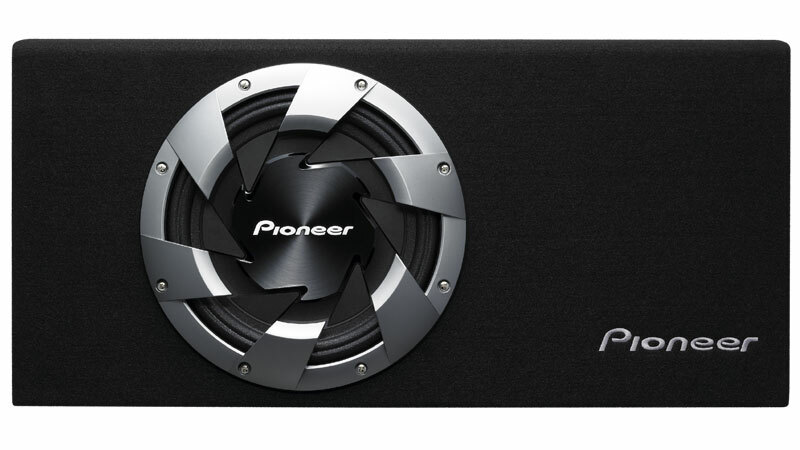 Pioneer Electronics (USA) Inc., today introduced a new line of shallow subwoofers that generate more bass in less space. The TS-SW301 (12-inch) and TS-SW251 (10-inch) shallow subwoofers are less than 3.5-inches deep and require an extremely small enclosure making them the ideal subwoofers for consumers who want the added benefits of bass in their cars but are not fond of the inconvenience associated with large subwoofer enclosures. Pioneer created a unique air suspension control system that seals air into a pocket between two speaker cones the front main cone and the rear (internal) drive cone, which replaces the traditional “spider” found on conventional subwoofers. The pressure created in this pocket creates an “air suspension system” that requires less enclosure volume to control the speaker cone, without sacrificing sound quality or performance. The end result is smooth and linear cone movement that produces tight, accurate bass response. The subwoofer is packed with additional new features including C-type shaped reinforced nodes, M-shaped three-layer fiber woven radial surround, interlaced ultra-long glass fiber reinforced IMMP cone, large magnet circuitry and 2-piece T-pole yoke – all of which help produce great audio quality for this extremely shallow speaker. Because of the air suspension technology, the subwoofer requires much less than the standard 1.0 cubic foot of enclosure volume to perform at its optimal level. The rear of the subwoofer features a stamped metal “fin-shape” directional basket directing air movement sideways, to eliminate the “loading effect” when the rear of the subwoofer is installed too close to the wall of a speaker enclosure. Additional features of the subwoofer include increased input power capabilities and spring loaded input terminals. The TS-SW251 and TS-SW301 are available at a suggested price of $140 and $160, respectively. 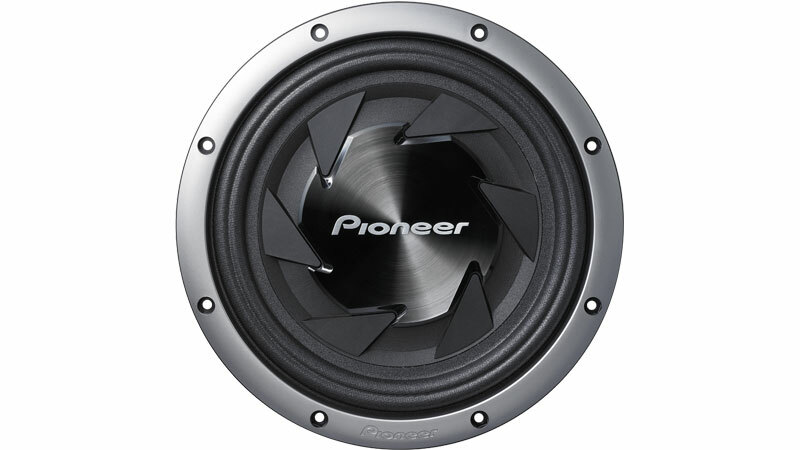 Pioneer has also created the TS-SWX310 “ready-to-play” subwoofer enclosure pre-loaded with one 12-inch TS-SW301 subwoofer. The slim wedge-shaped box is built to the optimal specifications of the subwoofer and is perfect for applications behind the seats of many pick-up trucks, SUVs or other vehicles where space is at a premium. The enclosure is made of reinforced medium density fiberboard (MDF), wrapped in high-quality black carpet with an embroidered Pioneer logo. The TS-SWX310 will be available in March 2008 with a suggested price of $250.